The Staff Selection Commission has conducted a written examination for the Eligible candidates of Constable (GD) in BSF, CRPF, CISF, ITBP, SSB, NIA and SSF and Rifleman in Assam Rifles. Many Interested Candidates Filled there Online Application form. The Process of Submitting the Online Application form is Started from 21.07.2018 to 20.08.2018. More Details about the Recruitment are as provided on the below Link. So, they must have the proper knowledge of tests which they will have to face at each different stages. There is more and more competition increasing day by day, its become challenging as hard nut to crack. Now, here we’re providing prescribed latest scheme of examination and whole selection procedure, which may helps the aspirants to chase this challenge. Now We Are giving the Brief Description on SSC Constable GD Syllabus 2018. Details About the Height Relaxation is Provided on the Detailed Advertisement. Details About the Chest Relaxation is Provided on the Detailed Advertisement. N6 N9 6/6 6/9 Visual Correction of any kind is not permitted even by glasses. CP-III BY ISIHARA For right handed person, the right eye is better eye and vice-versa. (i) The candidates must not have knock knee, flat foot, varicose vein and squint in eyes. They must be in good mental and physical health for duties in all places including in high altitude and be fit to serve in border areas with extreme climatic conditions and must be free from any defect likely to interfere with efficient performance of the duties. (ii) Only those candidates who have scored above the cut off marks fixed by the Commission in Written Examination will be required to appear in the Medical Examination. The Commission shall have the discretion to fix different qualifying standards for candidates belonging to different categories in different states/UTs, taking into consideration vacancies allotted to each State/UT. (iii) The selected candidates will be medically examined by the medical boards constituted by the CAPFs to assess their physical and medical fitness as prescribed in the eligibility conditions. “Those who do not produce domicile certificate will not be allowed to appear for medical examination. (iv) Medical Test (X-Ray & laboratory) shall be conducted only for such candidates who are found fit after passing through all the level of tests. (v) In case of medical examination, “temporary unfitness” will not be allowed. However, any female candidate who during the medical examination is found to be pregnant of twelve weeks standing or above, shall be declared temporarily unfit and her medical examination held in abeyance until the confinement is over. (vi) Candidates declared unfit may file an appeal/representation to the designated authority in the CAPFs within 15 days of declaring him/her unfit by the medical board. (vii) Testimonials of the candidates will be checked at the medical examination stage. For Any Query or Doubts Regarding SSC Constable GD Syllabus Candidates can Leave Comment in the Comment Box. We will Try to give Appropriate Response of Queries and Clarify Your Doubts. Keep Updating Yourself. Sir mene form bhra thaa. 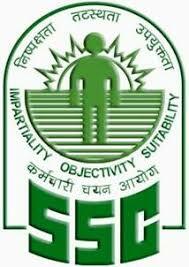 Ssc gd exam date 2018 – 2019 ka p name wale ka kaun sa date ka hai sir.